Heritage Lincolnshire's Layers of History project. A new £600,000 project is hoping to reveal the hidden history beneath the landscapes of Lincolnshire - and you can get involved. 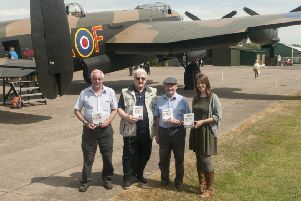 Heckington-based charity Heritage Lincolnshire’s ‘Layers Project’ will provide exciting opportunities for people to explore the rich history of their county. Until the end of 2018 the Layers of History project is focusing on study sites at South Ormsby Estate, Hainton Estate, Hackthorn and Aslackby - but will be investigating other sites in 2019. Anyone with an interest in the county’s historic landscapes can get involved, from taking an online course, to getting out and about on study site days or learning about archival research. Beverley Gormley, Layers of History senior project officer, said: “Layers of History is a volunteer-led project with a difference. “We don’t tell you what we want you to do, we give you some ideas and then you tell us what you want to do. Once volunteers have signed up, they can get stuck in as much or as little as they like. 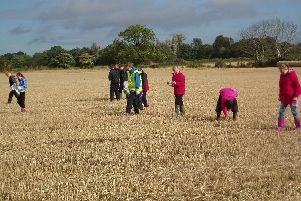 Join the Layers of History team for a volunteer taster morning at Hainton, on September 27, followed by an afternoon fieldwalking.